Simply slipping a foot into the shoe will trigger its motors, adjusting automatically to keep the shoe tight. 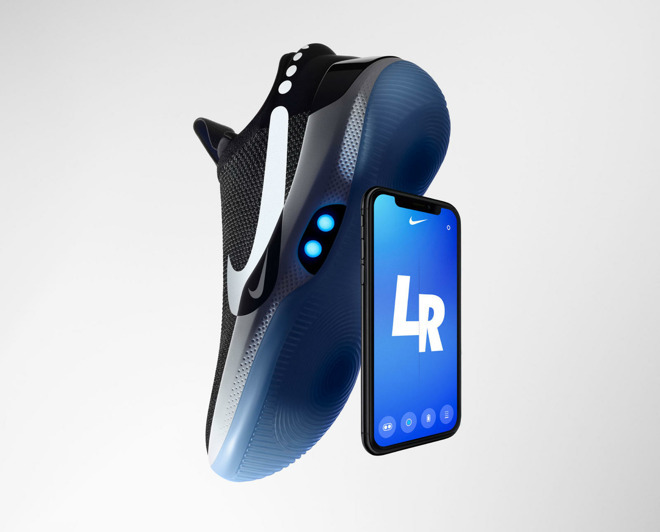 Wearers can finesse this with manual buttons or the upcoming Nike Adapt app, which will let people adjust each shoe individually, and eventually create presets for different parts of a game. Accordingly the shoe will even support firmware updates for its FitAdapt system. Basketball was chosen because of the changes a player's foot can go through, Nike said. A foot can grow as much as half a size over the course of a game, and conventional shoes can potentially start too loose or end up too tight. The Adapt BB is the end product of years of development. It began as the Mag, an extremely limited product based on the self-lacing Nikes in the 1989 movie "Back to the Future Part II." 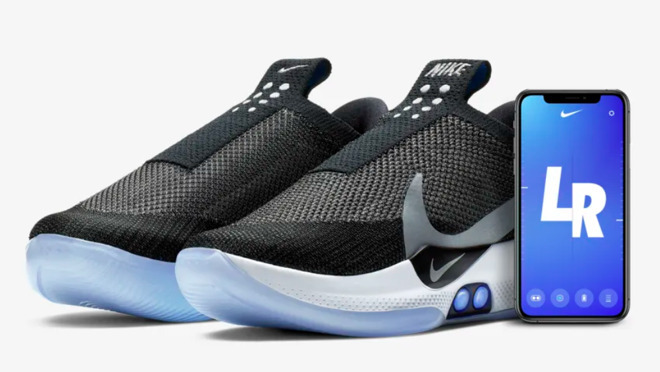 It evolved into 2016's HyperAdapt 1.0, a multipurpose shoe that was priced at $720 -- well out of the range of the average person. The new product is still more expensive than most athletic shoes at $350, even Nike's soccer cleats, which don't top $295. Preorders for the Adapt BB start today ahead of a Feb. 16 ship date. The shoe comes in sizes ranging from Men's 8/Women's 9.5 to 14/15.5. Funny that they would choose basketball -- there's likely more potential here for runners: Not just in fit (which applies equally well if not more so) but in traction -- where the sole could adapt to different surfaces and terrains -- from pavement to dirt -- even mud and snow. There is lots and lots of potential here -- but can Nike pull it off? So far, they haven't done too well with the Nike App on Apple Watch. But I wish them luck -- for our sake! Can hardly wait for the hack that unties the shoes during a fast break. It’s possible that these shoes are a little hefty with the motors and guff - runners normally want the lightest shoe possible. Isn’t it quicker to just bend down and … lace up your training shoes? Completely accurate about the need for lightness and I believe a shoe which could automatically adjust lace tension or overall shoe fit could be engineered to operate on simple mechanical principles instead of a battery-powered apparatus. These will adjust automatically without intervention. Gotta laugh at those yesterday teasing that people can't tie their own shoes. This was different than expected. Can't do that with these. Anyone who exercises/plays sports can tell you that laces tend to loosen over time. I think I’ll wait until Nike can add a foot to my vertical leap. Next: self-fitting jacket from "Back to the Future". Then, self un-zipping pants? No full Nike logo on the sides? Odd design choice. I'd like a runner's shoes version of this, but like @Hentaiboy said, maybe they're still too heavy to make it to the runner's shoes. EDIT: Looks like the logo extends in Black to the sole. Took me a while to get it. Some of us have back problems and would welcome technology which saves our back from pain multiple times per day. And several of the people writing comments have no respect for us.